3 Bedrooms, 2 Bath, Penthouse, Lakefront, Luxury Condo, 2 King Beds, 2 Full Size Beds, 1 Sleeper Sofa, sleeps 8. Emerald Isle is truly a gem of spectacular proportions at Vista Cay resort! Emerald Isle is brand new and encompasses a view unlike no other at Vista Cay, understandable since it is a penthouse unit! The living room, master bedroom, dining area, and Lanai all look over Lake Cay and the nightly firework events hosted at Sea World including a gorgeous view of the clubhouse, the Orlando Orange County Convention Center and magnificent sunsets! The pictures barely do this amazing unit justice! Emerald Isle is ideally suited to your vacation or business needs! Emerald Isle is a luxuriously furnished and fully equipped condo in the gated community of Vista Cay Resort, and only minutes away from Disney World, Universal Studios, Sea World and their brand new theme park Aquatica! Emerald Isle is also walking distance to the Orlando Orange County Convention Center, the second largest in the country! Emerald Isle is perfectly located in Building #10, immediately East of the Vista Cay Clubhouse. The Vista Cay Resort Clubhouse includes a fitness center, resort style pool with multi-level deck space, children's playing area, kids pool and Jacuzzi, spa, conference rooms, Internet library, theatre, game room, and sports court among lavish surroundings. Beautifully paved walkways and paths border Lake Cay for guests to enjoy the Florida wildlife and vegetation that resides here at Vista Cay Resort! Emerald Isle boasts a generous 2,097 sq. ft. of luxurious living space perfect for the Orlando business traveler or for couples and families vacationing in the alluring city of Orlando. The master bedroom, Sienna, is set in rich shades of gold and chocolate and features an elegant king sized plush bed . You will also enjoy a full size walk in closet and large bathroom hosting two sinks, large and spacious tub, shower, and separate water closet room. This Master bedroom has a wall mounted 42" Panasonic Plasma HD TV above the Sienna dresser. The second king bedroom, Island, features a lush tropical feeling of shady palms and cool breezes with it's luxurious plush bedding and personal full size closet. The second bathroom, as is the first, is beautifully and fully equipped including hairdryer, and bath towels. The third bedroom, Elm, is beautifully appointed with many shades of brown and gold and features two large full size plush beds for adults or children. Each of these two bedrooms has it's own personal wall mounted 32" Samsung LCD HD TV. Emerald Isle also includes a kitchen fit for a chef! From the Granite countertops to the modern stainless steel appliances, you will find that cooking, eating, and entertaining a breeze. The kitchen also comes well equipped with a full refrigerator, stove, microwave, dishwasher, garbage disposal, and coffee maker. The separate and spaciously large living room is designed in many shades of emerald and understandably gives this elegant unit its name. The beautiful sectional couch easily seats eight adults with extra comfortable designer chairs for more if needed. An entertainment center with a 62" Large Screen Mitsubishi DLP HDTV and HD up converted DVD player completes a perfectly appointed gathering area. This is the perfect place to kick back and relax after a long day meeting with clients or after spending an exciting day enjoying the many various theme parks available to you. The dining area includes an elegant six-place gathering table with a beautiful bamboo backdrop specifically designed to continue the lush tropical island mood of Emerald Isle. Book Emerald Isle today for your group vacation, family gathering, or corporate retreat! It's available now! Took the entire family (6) for a week in Orlando and the condo was great. Plenty of room, clean, great views, and well decorated. Property manager very helpful and easy to work with. Would definitely stay here again. The Emerald Isle Penthouse Condo was an amazing place! I've stayed at Vista Cay previously, but this condo was exceptional compared to the rest. Wonderful view, room to sleep over 6 comfortably, I will definitely be coming back! Thank you for your wonderful review of Emerald Isle. This penthouse is beautifully furnished and located with a gorgeous view of the lake. Minutes away from the convention center, parks, and amenities makes this a very popular choice for our guests. Thank you for choosing Vista Cay and we look forward to your next visit to Orlando. The size of this condo is fantastic! Plenty of room to relax after a long day at one of the nearby parks. The pools are all great. I will definitely book this condo again. 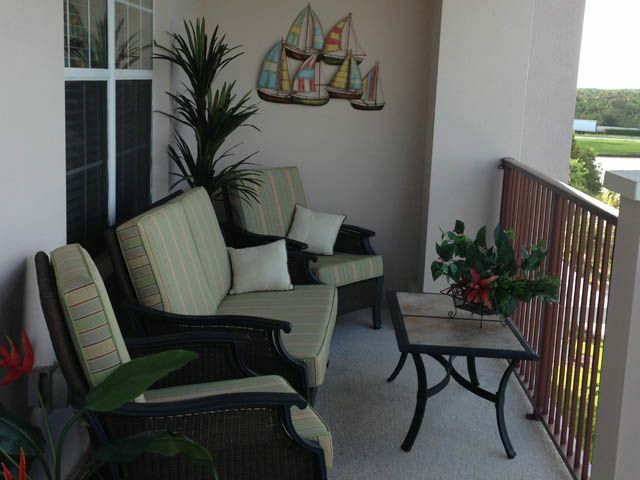 Location was ideal for this condo at Vista Cay. Nice view of lake and pool. Very comfortable and spacious for us and had all we needed. Would recommend this to small groups or families visiting the Orlando area, especially for swim meets at the Y. Quiet local restaurants in walking distance too. Thank you for your positive review of Emerald Isle. Clean, spacious, wonderful view, and close to amenities, parks, and convention center. The perfect choice whether for work or pleasure. And a very comfortable stay for those student athletic teams. We look forward to your next visit to Orlando and hope you again choose Vista Cay. Excellent!!! Very clean, spacious, modern looking property to enjoy quality family time. I’d definitely stay here again. Booking process couldn’t be easier. Thank you for your positive response to Emerald Isle. Whether your visit is business or pleasure this penthouse condo is the perfect choice for your stay. The view from the balcony lanai is spectacular. The close by amenities and parks make this a win-win for everyone. We look forward to serving you on your next visit to Orlando. Convenient and desirable location for all Orlando attractions and nearby Restaurants. Suitable for three adult couples or one large family. Well appointed, nice decor and surprisingly large. You won’t be disappointed and the owner was professional and attentive with booking details. Would stay there again if in Orlando. Enjoy!! Thank you for your positive review of the Emerald Isle. This penthouse is a favorite with many guests with its outstanding view of our lake from the lanai and its close proximity to the clubhouse. Decorated beautifully with three large bedrooms, two baths, den, kitchen, dining area, and laundry room, this is the perfect home away from home. Thank you for choosing Vista Cay and we look forward to your next visit to Orlando. Emerald Isle is also walking distance to the Orlando Orange County Convention Center, the second largest in the country! Emerald Isle is perfectly located in Building #10, immediately East of the Vista Cay Clubhouse.